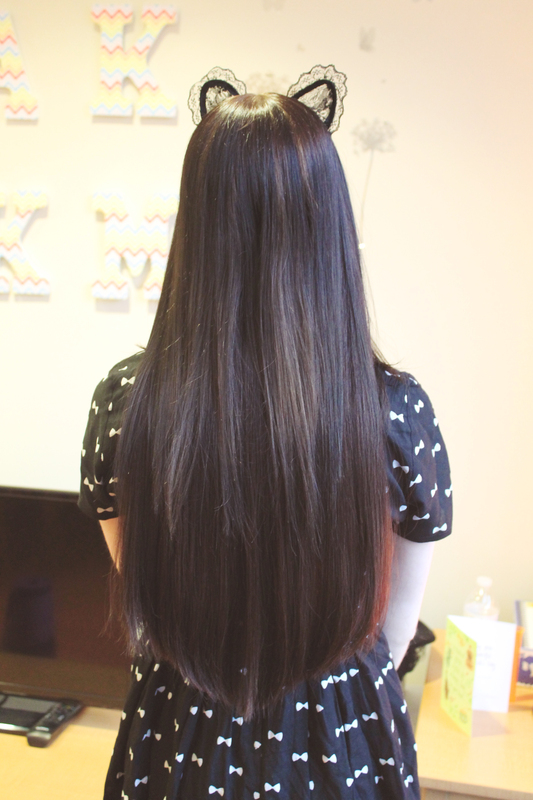 Recently, I reviewed my Lord & Cliff hidden halo extensions in a post. I think miracle wire hair extensions, also known as halo, hidden halo, and hidden crown, are my favorite type of extensions. 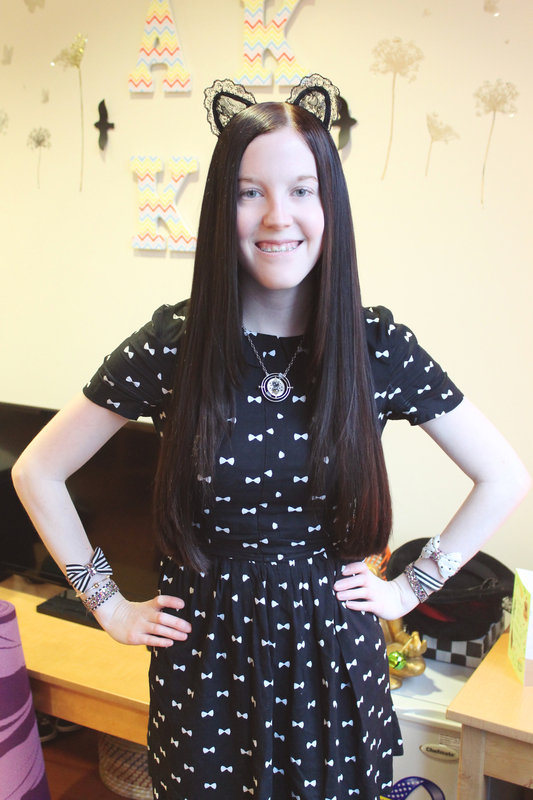 I’m a former user of clip-in’s, and I have to say–I can already tell I’m never going back! I just got a new set from HairExtensionLove on Etsy, after looking into their options in detail. I really wanted a set that was thicker and double drawn, so that the ends of my extensions would be nice and thick. I talked with the shop’s customer service, and she suggested this set of halo extensions that she sells. The set is double drawn from amazing quality Remy hair. I also purchased the priority service so my extensions would be made quickly; I wanted to wear them to an event, and I wanted to have time to get them trimmed first. Why did I choose to look for a small, handmade shop in my search for another set of extensions? Don’t get me wrong, I really liked Lord & Cliff’s extensions. They came layered, and they fit in well with my layered hair. 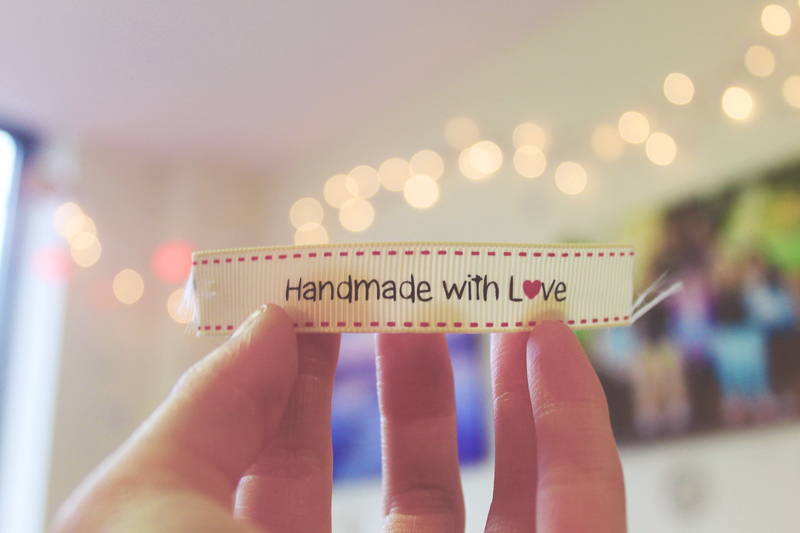 But what I love about small, handmade shops is that there are so many options for customization. Since their products are made-to-order, you know exactly what you’re getting and you can ask for changes. I was really looking for a shop that could make halo extensions in 100grams, double drawn, 13″ wide (the same width as my Lord & Cliff ones, which I found to be a perfect length) and with one clip at each end. HairExtensionLove has wonderful customer service. The owner answered my questions quickly and in-depth. Some of the other shops I contacted at the same time gave me vague answers or simply couldn’t do what I wanted. 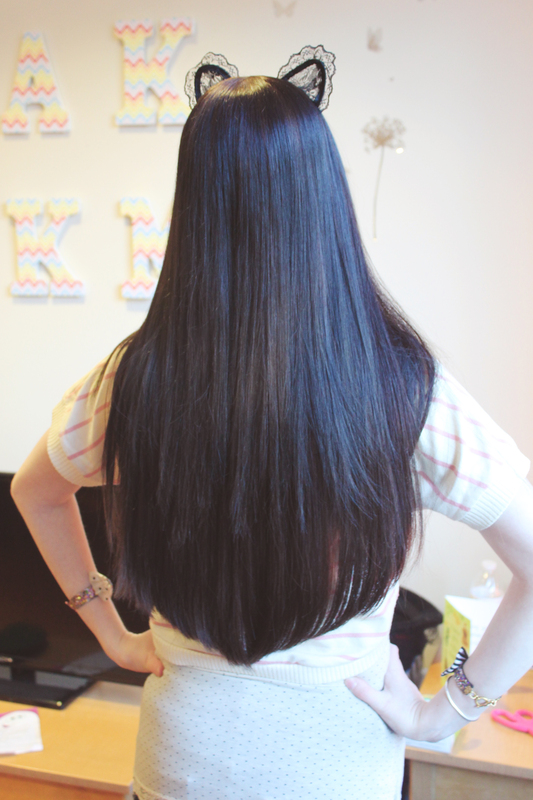 HairExtensionLove’s hidden halo extensions are thick at the ends, which I adore! If you want to read more on the general pros of miracle wire type extensions, I detailed this in my post about Lord & Cliff. All of these pros 100% apply to my new set from HairExtensionLove–they’re comfortable, easy to wear, and they look amazing! Considering they came all the way from England to the United States, they came incredibly fast. I ordered on March 25, they shipped on March 28 and they arrived on April 6. Overall, I think these extensions are completely fabulous. I would recommend them to anyone looking for high-quality and easy to use daily extensions, especially if you want a handmade look, such as ombre or a mixture of different hair colors! And if you want to purchase from HairExtensionLove, just use the code BIGTHANKYOU for 5% off your total purchase. The code was given to me by the shop owner especially for Alaina Marie’s Keys readers! How do you care for your hiddencrown to keep it from being dry and flyaway frizzys. I used PaulMitchell Awapui products an the crown ended up very matted angled. Any sugestions to restore my 6month old crown ASAP ?! What I did was instead of using products on it, I tried not to use products. I used a small amount of hairspray and usually just put lotion on my hands first and then gently rubbed it into my hair. I also had good results with dry shampoo!